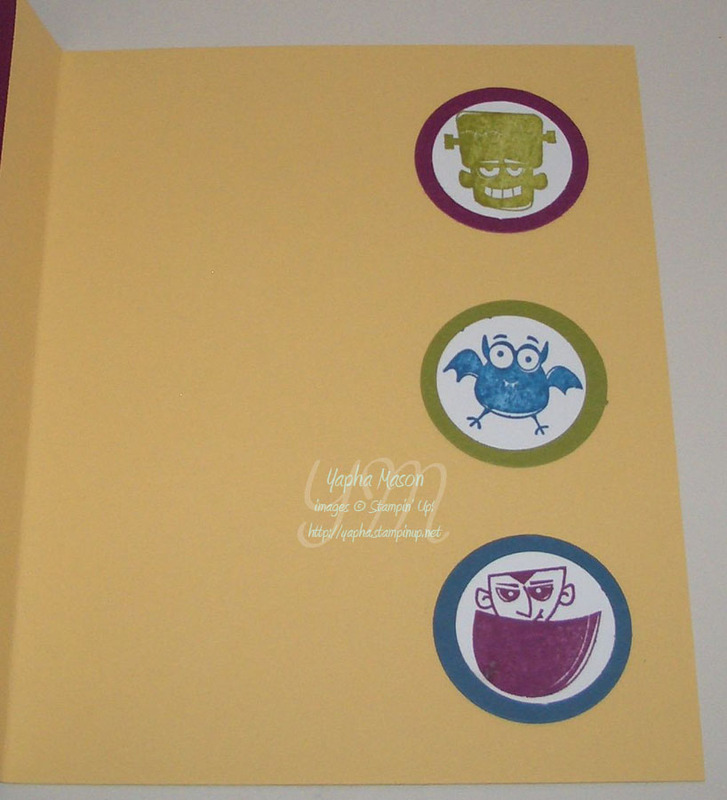 The cute little Batty for You circles are actually attached to the inside of the card. 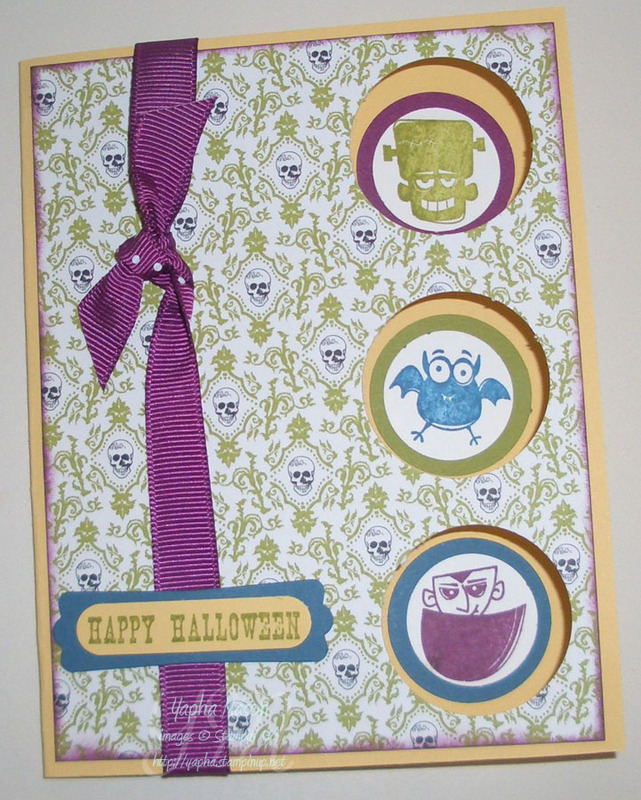 I used my 1 3/8″ punch to put holes on the front so you could see them through it. Here’s what the inside looks like. Halloween’s getting close! Are you ready? on October 20, 2009 at 10:29 pm Cindy E.
Oh my gosh, that is so cute. I never would have thought of those colors together, but they really work, don’t they? TFS! Great card! I love it! I might have to case this one. How darling is this? Cute, cute, cute!